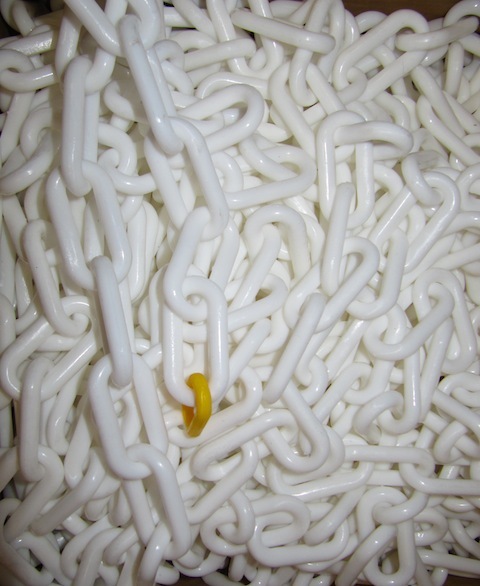 8mm Plastic chain available in various plain or two-color combinations. 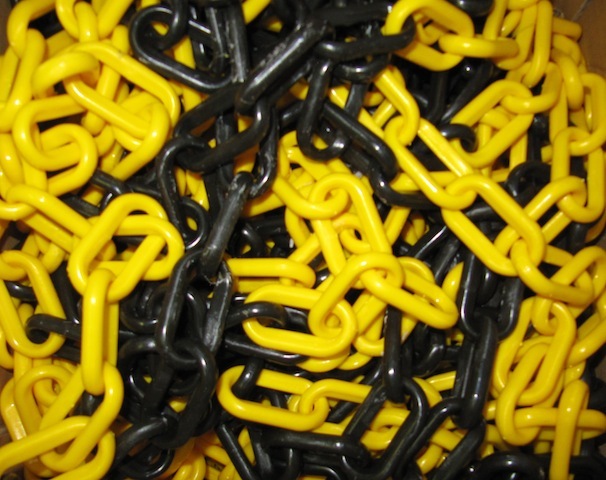 Strong and durable, a lighter and more visible option to metal chain. Used to demarcate or cordon off areas as required. Supplied in 10m lengths which can be joined by interlocking links. Combined with poles with weighted bases to create an easy to use system.